Little is known for certain about the childhood of Denis Joseph Rake, who like many other secret agents continually embroidered and camouflaged the details of his life. He was born in Brussels in 1901, the son of Francis Rake, a Bristol-born newspaper correspondent, and Margaret Jones, who was Welsh (Denis later claimed that his mother had been the Belgian opera singer Emma Luart). His elder sister, Margaret (she preferred her second name, Esmé), later flew aircraft as a ferry pilot with the Air Transport Auxiliary (ATA): a feisty, impulsive chainsmoker nicknamed "Pranger" by her ATA colleagues, she also became known for her unconventional ways. Under the name of 'Denis Greer' he pursued a career in the theatre, before joining the Royal Army Service Corps in September 1939, serving as a translator. Posted near Bordeaux with the British Expeditionary Force, Rake had an uneventful time until he joined the evacuation in June, when he struggled aboard the doomed liner Lancastria. Like another future SOE agent, Maurice Southgate, Rake was fortunate to be picked up after it was attacked by German aircraft and sunk, a tragedy that cost more lives than the loss of any other single British ship in history. When he got to England he was transferred to the Royal Navy's Volunteer Reserve and survived another sinking while serving aboard a French minesweeper, but even this wasn't enough to douse his enthusiasm for hazardous assignments. In an interview many years later, he explained how this need to prove himself sprang partly from anxieties about his homosexuality, which drove him to question his own capabilities and test the limits of his courage. It was only by accident that Rake would eventually discover his ultimate challenge, when one evening he overheard a conversation in a pub about a secret organisation working behind enemy lines. Calling on a well‐placed friend to pull some strings for him, Rake's enquiries led to the War Office, then to an interview with Lewis Gielgud (elder brother of actor John Gielgud), the recruiter for SOE's French section. With his education in telegraphy and first‐class French language skills to recommend him, Rake was quickly assigned the unlikely training name 'Dieudonné Rankin' and sent for assessment in August 1941. Considered 'a trifle effeminate' and 'a drug addict' owing to his reliance on sedatives to help him sleep, the forty‐year‐old actor was an unusual choice of recruit even by SOE's unconventional standards, but despite his storming off the preliminary course in the first week he was coaxed into staying on without the drugs. With wireless operators being of such great value and in such short supply, Rake managed to successfully negotiate exemption from the explosives courses and did the minimum of shooting practice, but he still impressed his assessors with his bravery: one commandant commented that 'he states that he has no fear of death and I believe him'. Although later reports warned about his casual attitude to security, he completed the training and was flown to Gibraltar in early 1942. His first mission began in May, when he crossed the Mediterreanean by trawler and submarine to land at Juan‐les‐Pins, and took shelter with a Resistance contact of Peter Churchill's, Dr Elie Levy, at nearby Antibes. As planned, Rake made contact with F Section's American fixer, Virginia Hall, in Lyon, and transmitted briefly for the local SPRUCE circuit, but when the police were given a description of him he decided to flee to Paris. He was arrested when crossing the demarcation line from Vichy into German‐occupied France, and took the risk of bribing one of the guards using practically all his SOE funds, leaving him just enough to reach the capital. Here Rake had no shortage of pre‐war theatrical contacts to call on for help, but in the face of every rule of security he later claimed to have sought refuge with a German officer he met in a bar. His description of their brief affair portrays 'Max Halder' as an anti‐Nazi who never suspected that Rake, masquerading as a Belgian drag artist and performing regularly at Montmartre clubs such as Le Grand Écart, could possibly be a British agent. However, given the short time Rake was in Paris this episode is more likely to be another fabrication, or at least an exaggerated tale based on a more casual encounter. Before he left Lyon, Virginia Hall had given Rake a photograph of another F Section man in Paris, Edward Wilkinson, who had arrived in June with fellow agent Ben Cowburn: they had no wireless operator to transmit their messages to London, and were useless until they could recruit one. Rake managed to track down Wilkinson and offered to help. Both travelled to Lyon to fetch a wireless set from Hall, and hooked up with organiser Richard Heslop on their way back to Paris. At last things seemed to be going well. Rake was confident about crossing the demarcation line again, but he was feeling ill from the long journey and persuaded the other two to stay overnight; Wilkinson and Heslop checked into a separate hotel and dined with Rake at the Café des Faisans later that evening, agreeing to meet there at eleven the next morning. Despite having left his wireless set with the owners of the café, Rake's nerves were still on edge, and while chatting with one of the staff at his hotel he carelessly mentioned where he'd just eaten. According to his later report, he deduced that the hotelier ‐ already suspicious of him ‐ must have contacted the police and passed on everything she'd heard. Later that night the police arrested and questioned Rake, and were waiting for Wilkinson and Heslop when they arrived at the rendezvous the following morning. All three were transferred to the gloomy prison at Castres where Rake became seriously ill with dysentery, suffered a crushed foot at the hands of a sadistic interrogator and endured three painful months in solitary confinement. In November they were thankfully moved to a POW camp at Chambaran, south of Lyon, where they were offered the chance to escape by the French commandant – although having received orders to shoot them he had no intention of helping the Germans, who had just begun to invade the former "unoccupied zone" of France. Blaming Rake for their arrests, Heslop and Wilkinson immediately disowned him and headed north to Paris, while Rake, with two escaped British NCOs in tow, began thinking about finding a way into Spain. After passing through Marseille, they reached Perpignan and despite Rake's badly injured foot managed to cross the Pyrenees, but he and his companions were soon picked up by the Spanish police, being imprisoned at Gerona, Figueras and then a notorious concentration camp near Burgos, at Miranda del Ebro. In January 1943 the British embassy was able to offer Rake better conditions at an officers' camp in the deserted town of Jaraba, where he met fellow agents Henri‐Paul Le Chêne and Harry Peulevé; in April his release was finally secured, and he arrived back in England a month later. In spite of his efforts to prove himself equal to the job of an agent in the field, the effects of interrogation, captivity and maltreatment at the hands of the Vichy and Spanish authorities had inevitably taken their toll on the exhausted Rake, and he suffered a nervous breakdown. 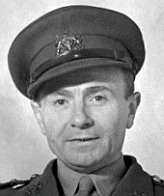 After weeks of recuperation and surgery to insert a silver plate in his foot he returned to work as a conducting officer, shepherding recruits through the courses and monitoring their progress at SOE's so‐called "finishing school" on the Beaulieu estate, but in April 1944 he was called upon to return to France, to act as a wireless operator for the FREELANCE circuit in the Auvergne. He volunteered, and left by Lysander in early May, landing near Tours. He was met by Alex Schwatschko, an agent working for a local circuit, SHIPWRIGHT. He and Rake already knew each other, having spent time together at Miranda; Rake suggests in his memoirs that they had also shared a more intimate relationship. Schwatschko wanted to show off the newly arrived British officer to the local Resistance, but Rake was reluctant to be used as propaganda material, and instead headed for the spa town of Chaudes‐Aigues, where he made contact with FREELANCE's organiser John Farmer and his formidable Australian courier Nancy Wake, whose conducting officer Rake had been earlier that year. They had already met the local Resistance leader 'Gaspard' (Émile Coulaudon), who now commanded around 10,000 men across the region, mostly without arms or equipment. Rake began to call in supply drops to landing grounds found by Wake, but the scale of their task was enormous, and it was impossible to deliver enough matériel and adequately train Gaspard's men in time. In May concentrated numbers of maquisards were ordered to gather at the redoubts of Mont Mouchet and La Truyère on the Margeride plateau: discarding guerilla hit‐and‐run tactics in favour of open warfare, Gaspard envisioned liberating the region before the Allies could intervene, but his forces could not hope to match the well‐equipped German columns that soon closed in. During a month of savage fighting that saw vicious German reprisals, Gaspard's men put up an impressive fight but were forced to withdraw at the end of June. On D‐Day Schwatschko had requested Rake as a temporary wireless operator, but shortly after their reunion Schwatschko was killed during a firefight with a German patrol. Though inconsolable, Rake had no time to grieve: rejoining Farmer and Wake at Fridefont in the Cantal, he was forced to bury his set and journeyed on foot for three days across difficult terrain to their rendezvous near Aurillac, a distance estimated by Farmer to be 130 miles. 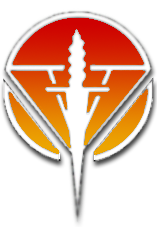 They eventually managed to contact London to request a supply drop including a new wireless set and a second operator, American Roger Faucher in mid‐July; FREELANCE's HQ then moved north to begin arming the maquis based around Montluçon. By the end of August German forces had fled the area, and after a brief trip with Wake to Marseille, Rake returned to England in October, once more in poor health. Rake officially left SOE in December 1944 and joined the Army Welfare Service with 21st Army Group, organising entertainments for the troops in Belgium and Holland until his demobilisation in June 1945. Though he returned to civilian life with the Military Cross, the Croix de Guerre with palm and the title of Chevalier of the Légion d'honneur to his name, such decorations now counted for little and like many SOE agents he faced an uncertain future. But while others felt overwhelmed by their experiences, Rake's unassuming, carefree spirit carried him on, as it had done ever since his circus days. 'I know I'm crazy', he wrote to his SOE boss Maurice Buckmaster, 'but I started life like that long ago and must end the same'. He took jobs stewarding on cruise liners, and sometimes retreated to the Devon coast, where he would stay in an elegantly decorated gypsy caravan near his sister's house. Later he worked as a valet for Douglas Fairbanks Jr, who was partly responsible for nagging him into writing a picaresque autobiography entitled Rake's Progress: The Gay and Dramatic Adventures of Major Denis Rake MC, The Reluctant British Wartime Agent. It was published in 1968, and a year later he made a brief appearance in Marcel Ophüls' film The Sorrow and The Pity. Denis Rake died in September 1976. A biography by Geoffrey Elliott, The Shooting Star, was published in 2009. My thanks to Sheila Forbes and David Guest for providing details on Denis's family. Rake's Progress: The Gay and Dramatic Adventures of Major Denis Rake,MC by Denis Rake (Frewin, 1968). The Shooting Star: The Colourful Life and Times of Denis Rake, MC by Geoffrey Elliott (Methuen, 2009). The Sorrow and The Pity (includes a brief interview with Rake)(1969, b/w). Directed by Marcel Ophuls.